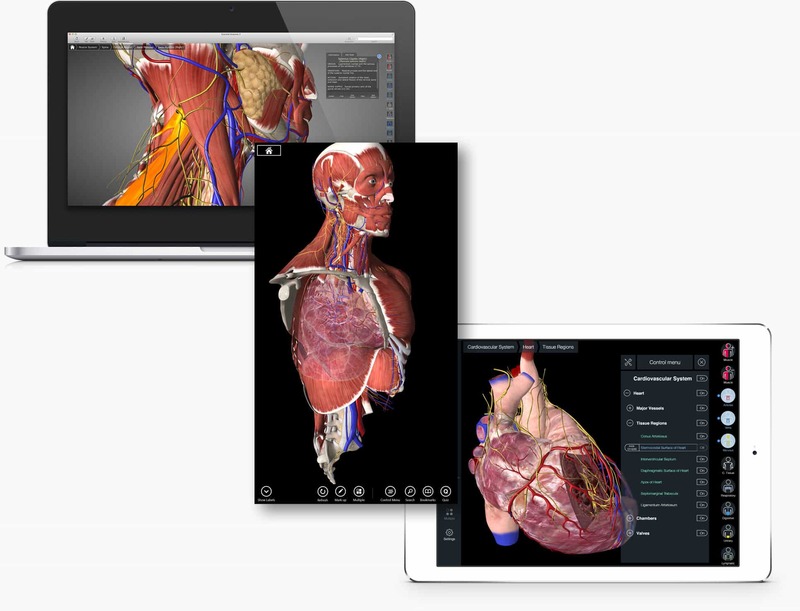 WANT OUR MOST ADVANCED 3D ANATOMY PLATFORM? 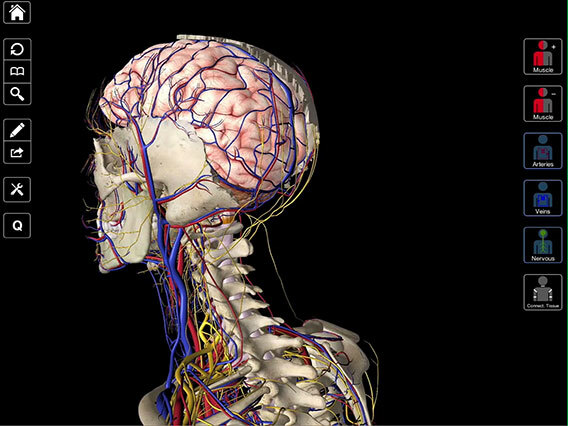 Essential Anatomy contains 4,000 highly detailed anatomical structures. Each structure contains an audio english pronunciation and Latin nomenclature, along with a detailed description. Navigate directly from the model or use the search function to intuitively find structures easily. Helpful comparison tools allow you to isolate individual or multiple structures and compare them with others. Bookmarks allow you to create and save custom views. 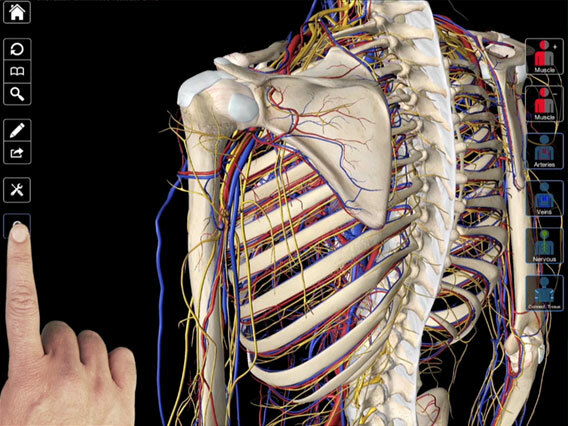 Essential Anatomy 3 contains 10 complete systems which can be easily turned on/off. 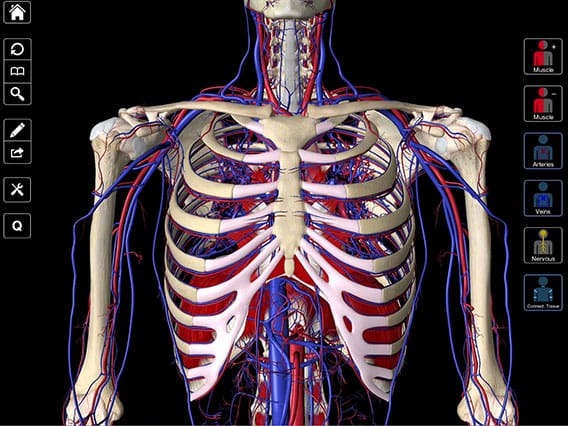 These include: Muscular, Skeletal, Connective Tissue, Venous, Arterial (including the Heart), Nervous (including the Brain), Respiratory, Digestive, Urinary and the latest addition Lymphatic. Clever functionality found within the app allows the user to strip away layers of muscle via the ‘scalpel’ tool. 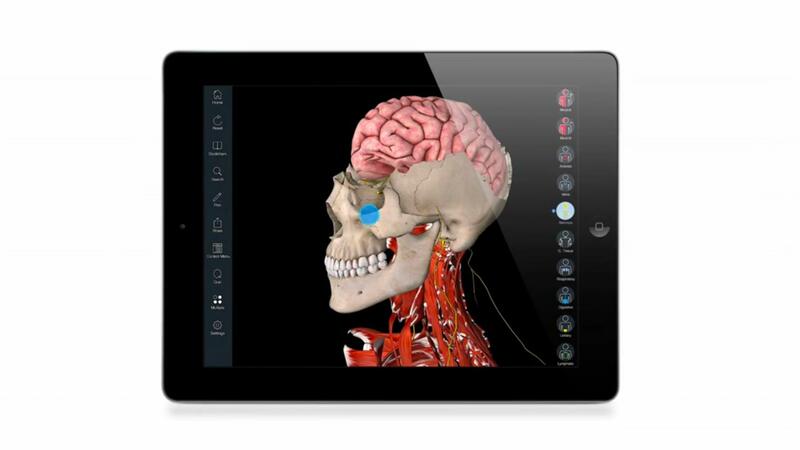 Essential Anatomy 3 is designed to be a seamless and fluid 3D experience and excels where other apps fail to deliver. 3D4Medical custom-built a real time 3D graphics engine in order to maximize the quality of the graphics available as well as to enable as much content to be available on the one screen as possible. 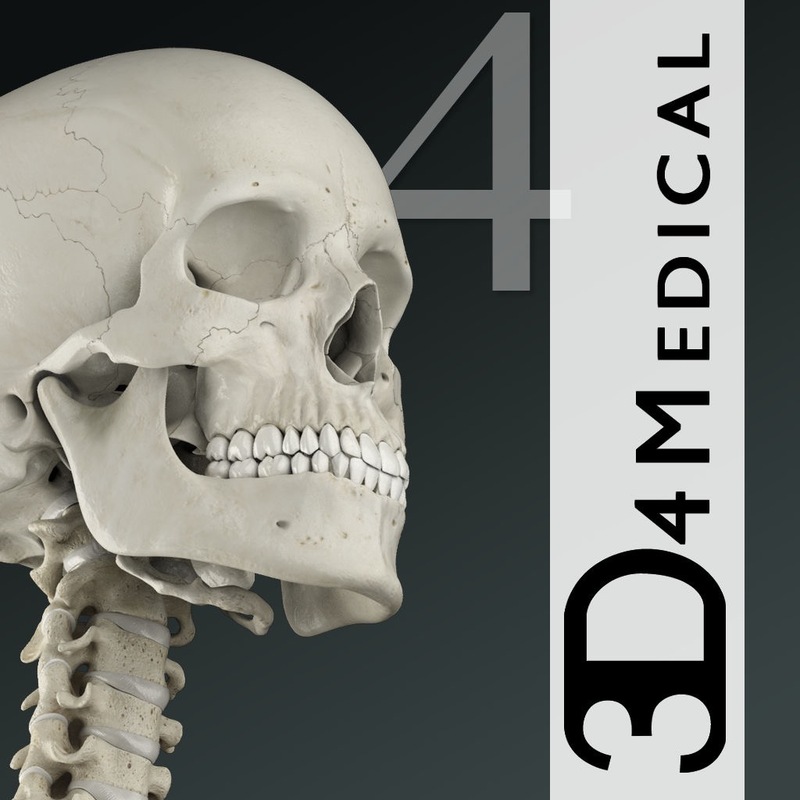 Subsequently 3D4Medical also custom-built, from the ground up, a new generation of anatomical models designed specifically for their proprietary real time 3D graphics engine. These custom-built models allow for more detail and even greater performance. 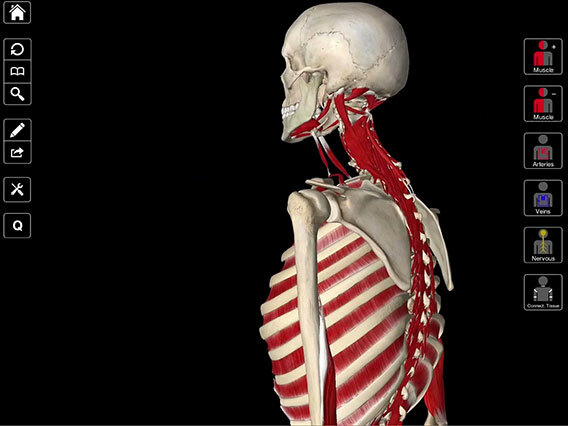 View structures in isolation, manipulate them freely or choose thumbnails of common anatomical terms of location. Use our comparison tools to understand relationships with neighboring structures. Users can also compare numerous structures with our new Multiple Selection Tool. 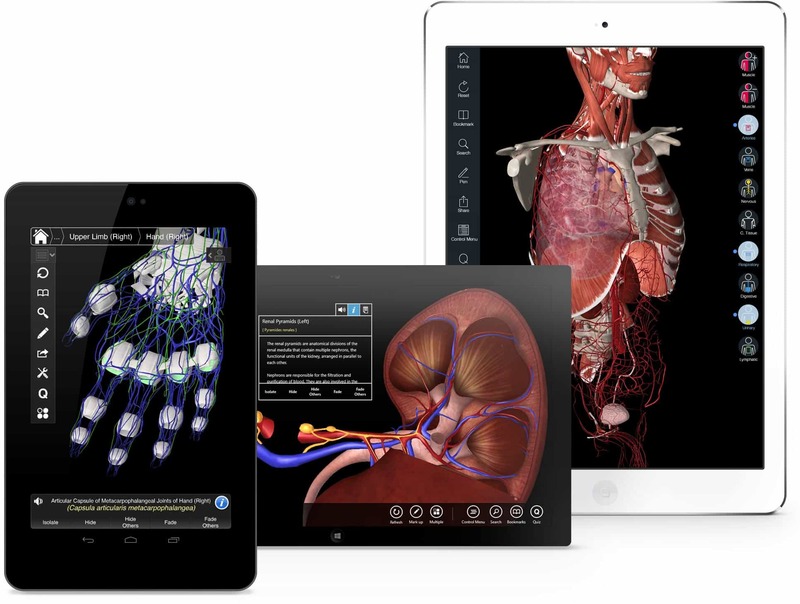 Essential Anatomy 3 allows you to test your knowledge with its unique quiz functionality. Choose between Drag & Drop and Multiple Choice and test yourself on any system contained in the app. You can even refine the quiz on the basis of regional anatomy. 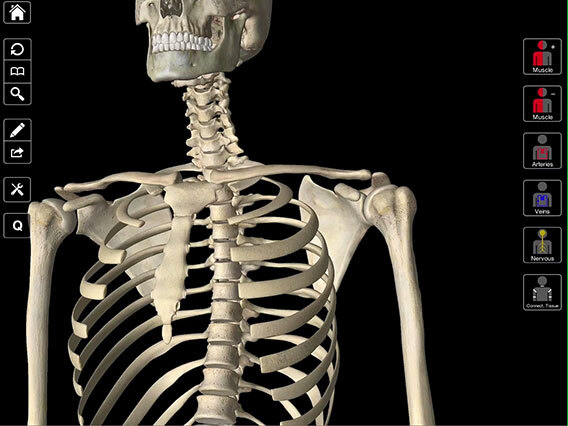 Essential Skeleton contains a full 3D skeleton model which can be rotated at any angle. 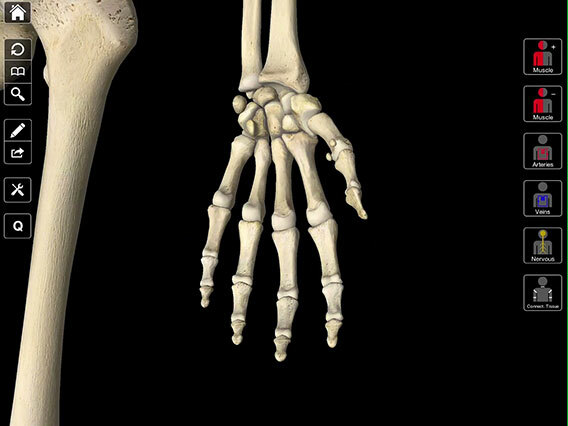 View bones in isolation, listen to audio pronunciations of bones, annotate & share media and even take quizzes. 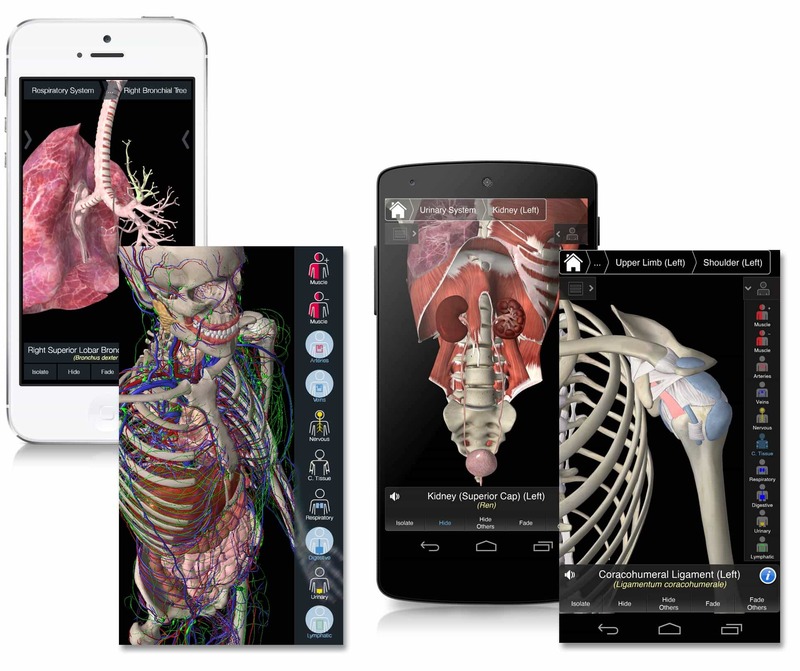 This app is being offered free to demonstrate the groundbreaking 3D technology and innovative design inherent in Essential Anatomy 5.